Use the form below to inquire about Comfortable Homestay Near Arehalli . Use the form below to reserve for Comfortable Homestay Near Arehalli . Ceiling Fan, Hot and Cold Running Water, Private Balcony/Verandah, TV with cable connection in each rooms. 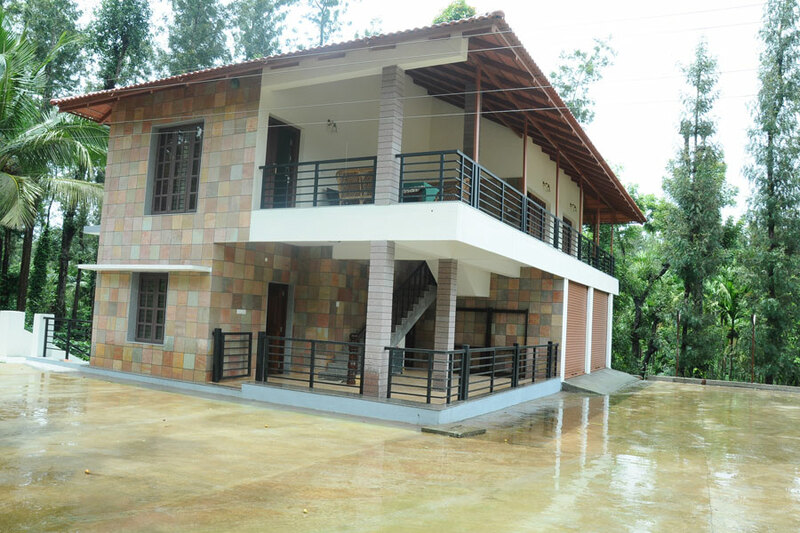 This Comfortable Homestay near Arehalli evokes images of lush green surroundings & scenic nature, peaceful and tranquil. The travel to this Comfortable Homestay near Arehalli is thoroughly enjoyable with waterfalls and rivers beckoning you. The location is a holiday-maker’ dream come true with the aromatic spice gardens and coffee plantations nearby. This comfortable Homestay near Arehalli provides a cozy at-home feel to guests. The spacious bedrooms comprise of either two double beds and one single bed or two double cots. The adequately furnished rooms have balconies that provide stunning views of the sunrise and sunset apart from the soothing greenery all around. The homestay can accommodate eight people on a twin sharing basis with a maximum of 15 persons at a time. Also, for adventure lovers, camp tents too can be arranged as an additional accommodation and this depends on the group size. If you are planning a getaway with family members or a big group of friends, this is the place to be. This single-storied Comfortable Homestay near Arehalli is designed such that guests can view nature to their heart’s content with an opportunity to gain a bird’s eye view of the entire town and mountains from the windows. An eco-friendly accommodation, the homestay is decorated with indoor plant varieties. Moreover, the wonderful floral garden in the front yard of the homestay is sure to leave guests with a pleasant feeling. The vast space in the front makes it ideal for children and elders to enjoy outdoor games any time of the day. The hygienic dining room serves ethnic Malnad dishes which are rich in taste and tantalize the choosiest of palates. While jogging and cycling can be enjoyed in this country setting, you can also visit places nearby such as Belur and Halebidu. One can also enjoy the Chikmagalur landscape which is approximately an hour’s drive away. Public transportation is also available right near the property. Come, enjoy this super comfortable Homestay near Arehalli’s hospitality. Coffee twice a day, on demand extra coffee will be served on chargeable basis. A coffee tour (inside our coffee plantation). Check-in 12 noon & Check out 11 am. For flexibility in the check-in time please call us. Credit / Debit Cards not accepted. Confirmation for booking will be done only after receipt of funds. If cancellation is done before 10 days from check in date, the date can be postpone to next month or some other day as you wish. Amount is not refundable for cancellation. When at this comfortable Homestay don’t forget to enjoy nature to its fullest. Enjoy a laidback holiday, view the floral garden or get moving with some outdoor games on the vast expanse of property in front. Cycling and jogging in this environment is a great idea too. One can also take a trip down this village for coffee and try to get acquainted with the culture of the local people. For all those who want to go sight-seeing, there are places to visit which range from a one-hour drive to three-hours’ drive such as Mullayanagiri Peak, Shravanabelagola, Belur, Halebidu, Sringeri, Kudremukh, Bhadra, and Kemmangundi. Sakleshpur is 221 km (app 3 hrs 30 mins) away from Bangalore. From Bangalore drive towards Mysore and take Kunigal-Yadiyur road. Then from Yadiyur drive 129 km (app 2 hrs) towards Hassan-Sakleshpur road. On reaching Sakleshpur, this Homestay is 11 km (app 20 mins) away.